In the midst of "flu season," it was the word "phlegm" that won the 47th annual San Diego Union-Tribune Countywide Spelling Bee Tuesday at the San Diego Hall of Champions in Balboa Park. The 13-year-old will go on to represent San Diego at the 2016 Scripps National Spelling Bee (May 22-27) in Washington, D.C.
Last year, Oona Flood of Earl Warren Middle School in Solana Beach won the San Diego competition by correctly spelling "fuliginous," the adjective meaning "sooty" or "dusky." 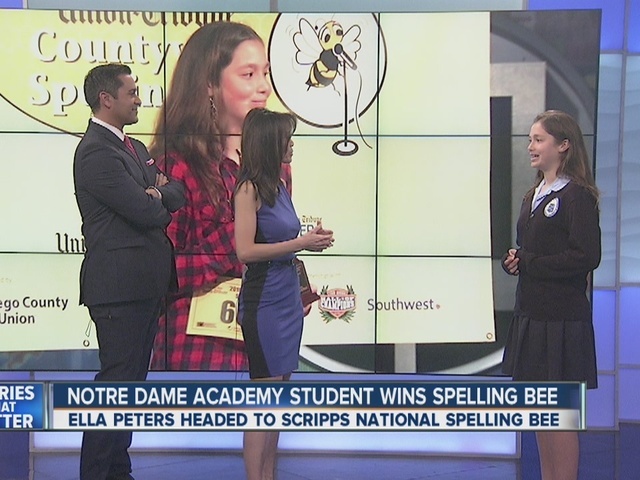 Oona was eliminated in the national Spelling Bee before reaching the semifinals. 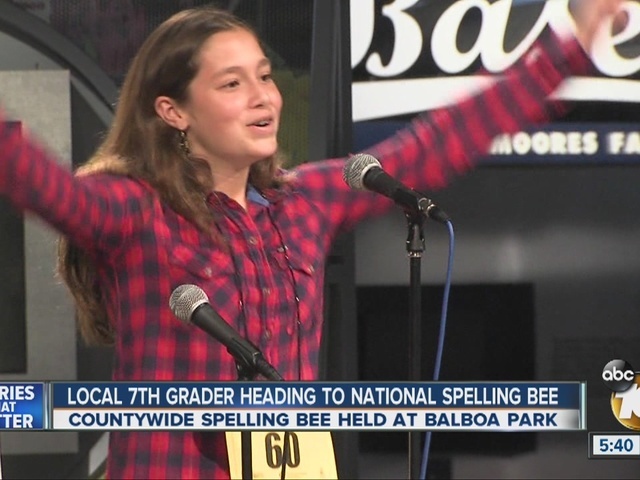 "The spelling bee is one of the most time-honored of all academic competitions," said Nicole Shina, who coordinates the event for the San Diego County Office of Education. "It's a nice reminder that even in a world where we're all texting and tweeting, spelling is important." David Hay, an adjunct research associate teaching Shakespeare and dramatic literature at the University of San Diego, served as the "bee master" for the 35th and final year.